There are more than just humans that keep our country safe in the CIA — some very qualified dogs share their part as well! These dogs are obviously from specific breed types best suited for the job, and they undergo extensive training procedures by highly skilled trainers. But there are some CIA-verified dog training tips that are still relevant when it comes to training our domestic house pups. If you’re looking for the necessary tools or resources for training your dog, check our selection of pet products at our pet market in St. Petersburg. 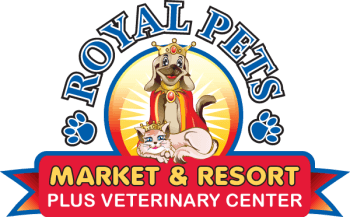 Royal Pets Market and Resort is more than just a pet market, though, as we offer boarding, grooming and veterinary services as well — making us the ultimate one-stop shop in the area for your cats and dogs. 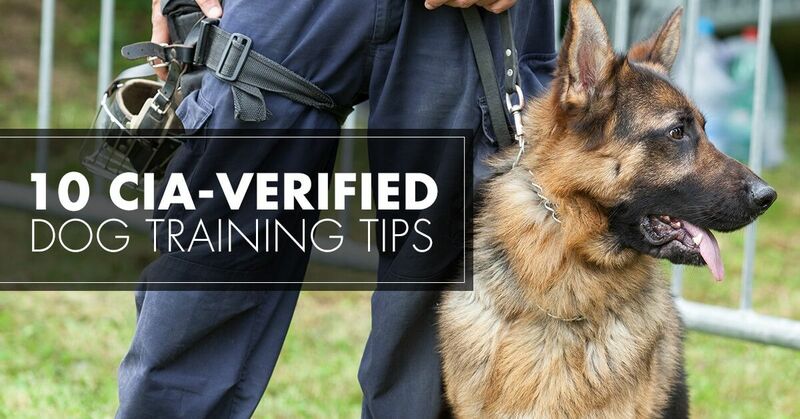 In this blog post, you can find effective dog training tips, approved and brought to you by the paw-fessional (sorry, we had to) dog trainers of the CIA. 1. Make training an enjoyable experience. When you train your dog, you want to ensure you make it a fun and enjoyable experience for them. Don’t make it a chore or something that ultimately frustrates them, or else the both of you will have a bad time. Positive reinforcement is absolutely essential, so make sure to properly reward your dog every time they have a successful training session. 2. Find out what motivates your dog, and use it. Some dogs are motivated by pets and love whereas others won’t even think about doing anything for you unless you have a treat in your hand. Whenever you find out what best motivates your dog to listen to your commands, take advantage of that thing or task. 3. Appreciate the small changes as much as the big ones. As your dog progresses in their training, their changes won’t be as often or as big as they once were. Remember to appreciate the little victories as much as the notable ones. 4. Play as hard as you work. When it comes to training your dog, the process takes a lot of time and patience. You want to, of course, have just as much play time as you do training time. If you overwork your dog, you may start to notice that they’ll experience burnout just like humans do — and that obviously won’t get them anywhere with your training. Work hard, play hard, dog. If you notice your dog is starting to develop lazy or ineffective patterns, stop them as soon as you can. Mix up commands in order to keep their minds fresh — for example, if you consistently make them sit for a treat, switch it up and teach them to lay down instead. CIA dogs typically train at the same hour and must perform the same commands every single day. You don’t have to be that demanding from your house pup, but it’s important to stay consistent with your training to ensure none of the progress you both make is lost. 7. Introduce new challenges for your pup. Don't be afraid to introduce new tricks and commands to your dog after they’ve nailed others down. You never want to be complacent with your dog’s progress, especially since there’s always more for you to teach and for them to learn! 8. Take advantage of your dog’s natural energy level. 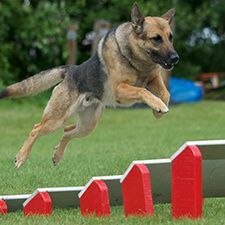 Dogs of different breeds, ages and personalities will have varying energy levels, which is what makes training your dog such a unique and intimate experience. For example, a six-month-old Labrador Retriever won’t have the same energy level as a wiser, older bulldog, and the puppy will likely need to burn more energy and have more stimulation than the other dog. Choose a training strategy that best suits the energy level of your dog. Think about it — as humans, we often need breaks from studying, working, etc. On top of that, we have days where we’re ready to work and other days where that isn’t exactly the case. Our dogs are exactly the same! Make sure to take breaks from your training sessions with your pup when necessary. 10. End on a positive note — always. To bring us back full-circle to Tip 1, you want to make your training fun. Never end on a sour note, even if it means ending your training session early and ending with a command you know your dog has nailed down. When you end on a positive note, this will ensure your dog is excited and ready to go for the next time you both tackle a training session. If you need any pet products, toys or tools to make your dog training sessions a bit easier, we encourage you to browse our selection at our pet market in St. Petersburg. We can connect you with high-quality items for your dog, cat or another type of animal — whether they’re ready to be in the CIA or maybe just ready to lie down for a nap on your couch. Make Royal Pets Market and Resort your go-to, reliable source for all things related to your pet, and visit our St. Petersburg location today.